Chapel Hill, NC – Nearly five million people need blood transfusions each year, and just one blood donation can help save three lives. On June 4, UNC will celebrate the 25th anniversary of the Carolina Blood Drive, with a goal of collecting 1,000 units of blood. Campus and community members are invited to attend the drive held from 7 a.m. to 6 p.m. at the Dean E. Smith Center. To celebrate 25 years, several prominent and loved Tar Heels are lending their support to the cause, including UNC athletic director, Bubba Cunningham; Patti Thorp; WCHL’s Ron Stutts; UNC’s executive vice chancellor and provost, Bruce Carney; former Voice of the Tar Heels, Woody Durham; General Alumni Association president, Doug Dibbert; chancellor emeritus Paul Hardin and his wife, Barbara; Tar Heel Sports Network announcers Jones Angell and Eric Montross; UNC student body president, Christy Lambden; and UNC mascot, Rameses. To thank volunteers and donors for their participation, various prizes, such as tickets to athletic events, autographed memorabilia and gift certificates, will be given away throughout the day. Those who come out to donate will receive a Carolina Blood Drive t-shirt courtesy of the American Red Cross. Eligible double red cell donors also will receive a special gift. Presenting donors will also be automatically registered to win a $1,000 gift card from the American Red Cross. After giving, donors may choose from refreshments provided by local businesses. 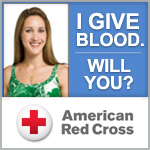 In 24 years, the Carolina Blood Drive has collected 21,786 units of blood impacting up to 65,358 lives. This year the Carolina Blood Drive is hoping to achieve a goal of 1,000 units once again for the first time since 2004 in order to help save lives of patients in need. For details and to register to give or volunteer at the drive, visit unc.edu/blood or call 919-493-3551, extension 380 for an appointment. To find out whether you are eligible to donate, visit blooddrive.web.unc.edu/donor. This entry was posted in Summer Blood Drive on May 14, 2013 by Lynn Eades.